We have all heard about the Gixxer face-lift that Suzuki was working on for quite some time. 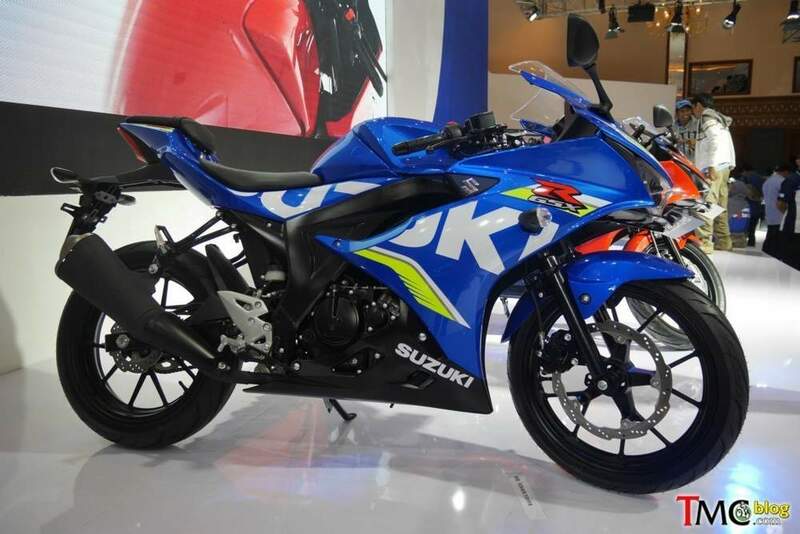 The Japanese automaker has unveiled the much awaited Gixxer face-lifts at the ongoing Indonesian motorcycle show. These two bikes are named Suzuki GSX-R150 and Suzuki GSX-S150. Both these bikes have a futuristic design and a more powerful engine than the present ones. Both the bikes come mated to a 6-speed gearbox. 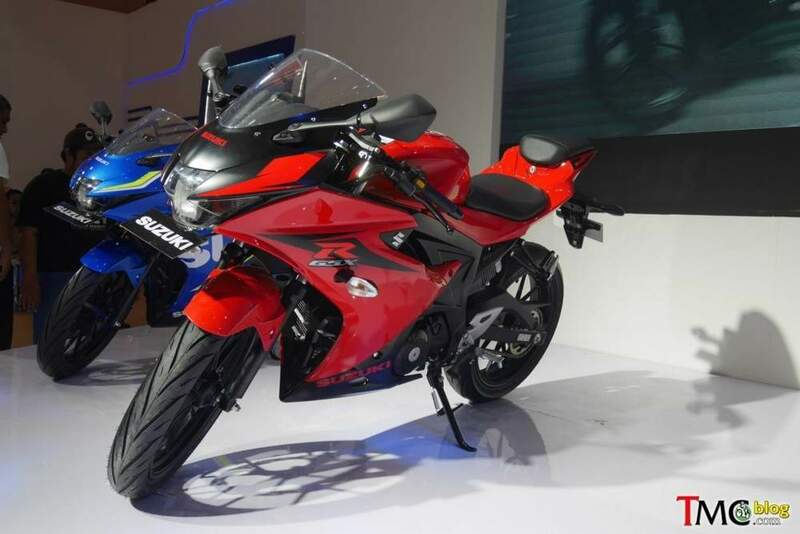 GSX-R150 being the face-lifted version of the the Gixxer SF sports a fairing and has a super-bike type stance. While the GSX-S150 is the naked sibling whose design is borrowed from the GSX-S750. GSX-R150 looks like the GSX-250R unveiled earlier this year. Both these bikes get split handles and a higher set pillion seat. Moto GP edition stickers add handsome looks to these bikes. The pillion seat being high set even on the naked GSX-S150 looks a little odd while viewed from the side profile. Naked version gets sharp design with lower set headlights and a long front cowl. The indicators are placed above the headlights and the handlebar height almost matches the rear seat height. Both these motorcycles are said to be powered by a fuel injected, single cylinder, 147cc, liquid cooled engine with 4-valve DOHC setup. These engines deliver a best in class power of 18.2 bhp @10,000 rpm and a peak torque of 13.2 Nm @8, 500 rpm. 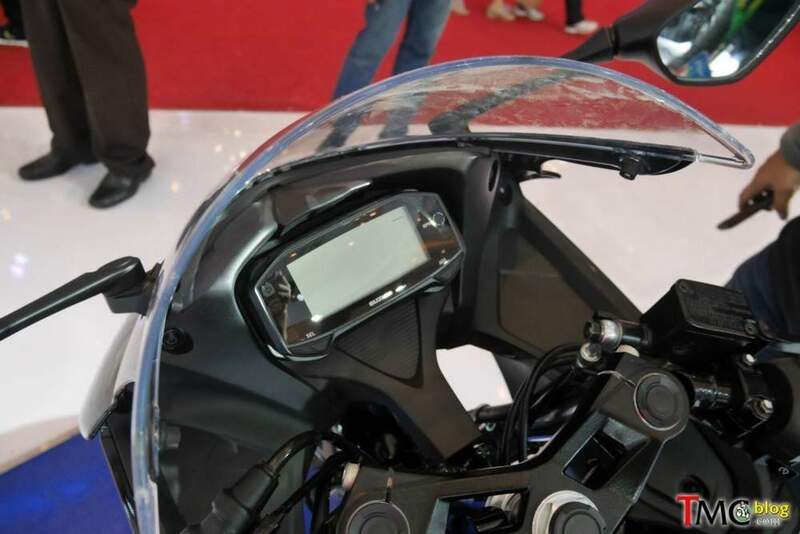 All digital instrument cluster come equipped on the bikes as seen on the present Gixxers. Braking on these bikes are taken care of by disc brakes both in the front and the rear. Ground clearance stands at 150 mm and a wheelbase of 1300 mm is shared by both the bikes. Telescopic front forks and a mono-shock at the rear are a part of the suspension setup. 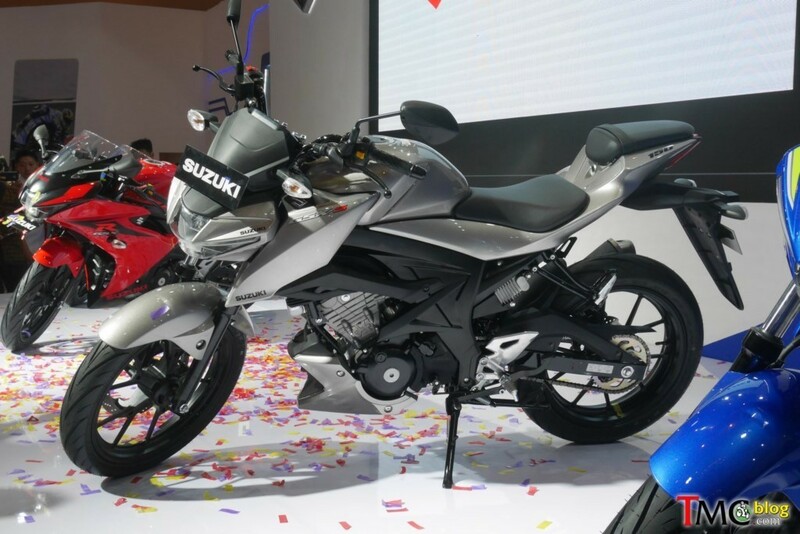 We expect the bikes to come to India by the first half of next year and the GSX-R150 will take on the YamahaR -15 and the Honda CBR-150R while the GSX-S150 will go head on against the Yamaha FZ and the Honda Hornet 160. Expected to be priced aggressively, these bikes may be priced between the 0.95-1.20 lakh mark. Here are our Facebook, YouTube and twitter accounts. Stay connected with us for more automobile news.